UNIVERSITY OF LIECHTENSTEIN (UNILI): is a state-funded university offering higher education and further education activities in the area of economic sciences and architecture. The university has established intense relationships with research partners throughout the world and is connected in the Erasmus network with more than 80 universities via bilateral agreements. An exchange network for students and academics is therefore established all over Europe. The INSTITUTE OF INFORMATION SYSTEMS at the University of Liechtenstein was founded in 1992. Currently six professors, together with the senior lecturers and research assistants form the core team of the institute. The institute is member of the European Research Centre of Information Systems (ERCIS), connecting the leading research institutions in IS all over Europe. The institute organizes academic degree programmes on Bachelor, Master, and PhD level. The institute’s work is dedicated to the use of information technology (IT) in organisations essential to all areas of modern life. Both research and teaching focus on Business Processes Management (BPM) as a means to successfully innovate and transform business in organisations. The institute closely collaborate with research partners around the globe and intend to serve the local industry and society. Prof. Dr. Jan vom Brocke is professor for Information Systems at the University of Liechtenstein. He is the Hilti Chair of Business Process Management, Director of the Institute of Information Systems, Co-Director of the International Master Program in IT and Business Process Management, and Director of the PhD Program in Business Economics. 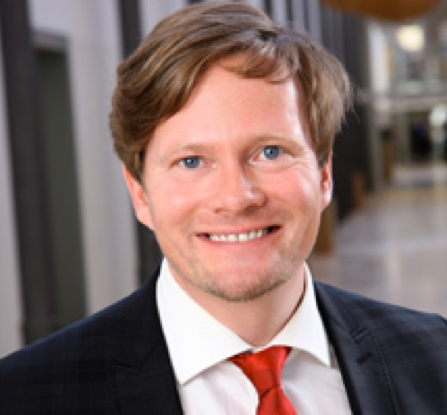 He is President of the Liechtenstein Chapter of the AIS, and he serves on the University Executive Board as Vice-President Research and Innovation. Jan has more than 15 years of experience in IS research, teaching and practice and has published more than 200 papers in, among others, MIS Quarterly (MISQ), Journal of Management Information Systems (JMIS) and Information & Management (I&M). He is author and editor of 19 books, including the International Handbook on Business Process Management (together with M. Rosemann). He serves on the editorial review board of the Journal of the Association for Information Systems (JAIS) and is an associate editor of Business & Information Systems Engineering (BISE) and co-editor-in-chief of the Journal of Information Technology Theory and Application (JITTA). Dr. Bernd Schenk is a senior lecturer and deputy head of the Institute of Information Systems. The core research interests of Bernd are business processes in enterprise systems. Bernd is executive director of the competence center ERP systems at the Institute of Information Systems and has been awarded visionary member of SAP University Alliance in 2014.